any info about a possible update to support halo 5? It's been a while since any sort of news or program update. Any word on either? I don't know if there is much else to be added or updated (that could be), but if the program is now finished, something about that would be nice. Seeing as various "factions" are working on trying to assemble a portfolio of sorts containing H5GF candy. You could be forgiven for thinking that the Adj team may be looking into producing something similar. Aside from that I don't think Adj should ever be officially considered finished...at least not in the literal sense. Infact it's probably better to think of the project as a constant WIP, which continually refines and updates itself as time moves on and more oppurtunities present themselves. And so the thread enters 2017. Not trying to be an arse but, just genuinely curious on how the devs are doing. I get it if there's not been a chance to work on it or if interest has waned a lot, but here's hoping we get some sweet, sweet loving soon. sound\music\amb\perc\perc85\track1\alt_loop --Source array was not long enough. Check srcIndex and length, and the array's lower bounds. sound\music\amb\perc\perc85\track1\loop - lp1 + lp2 + lp3 --Source array was not long enough. Check srcIndex and length, and the array's lower bounds. sound\music\amb\tech\a_tech\track1\loop - loop1 + loop2 + loop3 --Source array was not long enough. Check srcIndex and length, and the array's lower bounds. sound\music\amb\perc\perilous_timp\track1\loop - lp1, lp2, lp3, lp4, lp5, lp6, lp7 --Source array was not long enough. Check srcIndex and length, and the array's lower bounds. sound\music\amb\perc\perc96\track1\loop - loop1, loop2, loop3, loop4, loop5, loop6, loop7 --Source array was not long enough. Check srcIndex and length, and the array's lower bounds. sound\music\numbers\14perc\track1\loop - lp1, lp2 --Source array was not long enough. Check srcIndex and length, and the array's lower bounds. They're not perfect but they're usable. Forgive me if someone already asked and got this question answered, but how do I use the ToWav plugin to extract game sounds in Adjutant? I have ToWav.exe in a "ToWav" folder inside the "Plugins" folder in my Adjutant folder. But when I chose a sound tag/file inside Adjutant 4.2 there's no option to extract it. Firstly, that's the wrong location for towav. In the directory where Adjutant.exe is, there should be a "Helpers" folder (if not, create one). Put towav.exe directly inside that folder, not inside a subfolder. Secondly, to extract a snd! tag, open Adjutant, open the map file, and then select the .snd! tag in the hierarchy on the left. On the right, you should see two tabs; "Meta Viewer" and "Raw Extractor". Select the Raw Extractor. From here you can either press "Save As Single" to save all the Permutations of the sound file as one big audio file, or you can select a permutation in the list at the top, and then select "Save Selected". You can preview an individual permutation by double clicking on it in the list, and you can listen to all permutations by clicking the "Play All" button. Is it possible to rip Halo 4 music yet? I was trying to get the loops for Arrival but can't seem to find them. I think you can get much if not all of the Multiplayer music, but at least with my use of v4.0.0.0 (Because of future versions' issues with additional audio file extraction), I can't get any of the Campaign's music using Adjutant. He's very kindly arranged them all into folders corresponding to their levels, but they appear as raw as his tool(s) provided them. Unfortunately, in music relating to "Arrival", there's only one linear track that's borderline identical, but thankfully sports the "Bang" fadeout as heard here rather than the "Whimper" fade out of the Official Soundtrack (Along with the other in-game themes of the Midnight mission). None of the outputs are named though, so it will take a while to find stuff. When I went trough it a year or two ago I remember hearing a few bits of arrival, so there is defenitly something there. edit: I'm honestly surprised the music & SFX during the cinematics are all mixed into a single sound file. That's something I'd do honestly out of laziness. It doesn't surprise me much. With all the Midnight Legendary reset-to-checkpoints carved into my memory, my recollection of the music behaviour would correspond to more linear music data, at least for that level than what Marty has set-up in the Bungie titles and his numerous loops. And I can imagine numerous reasons why they'd create a singular render of the cinematic music & SFX, especially with the decreasing amount of real-time cutscenes vs. pre-rendered video files (Ex. Gearbox Software's Bink Video files have a singular channel for SFX & music, then the rest consist of the various spoken languages). But that's me talking as an observer of game audio data, not a developer of course. When I went through it a year or two ago I remember hearing a few bits of Arrival, so there is definitely something there. That's Wwise for ya. Plenty of tools to get the audio data from (Ravioli Game Tools, Riveal 11.1, WEM to OGG, & more), but so few with the ability to output them with names, usually as few games provide such helpful information for tools or users like Killing Floor 2 & Rising Storm 2: Vietnam do in their accompanying TXT files for their BNK files or Doom (2016) and it's soundbanksinfo.xml file. Certainly makes me appreciate the simplicity of GCFScape, UE Viewer or having your WAVs, OGGs and/or MP3s laid bare more & more as Wwise becomes more beloved by developers (Even Bungie uses it in Destiny, and probably still does for Destiny 2, which will give the eager data-miners on standby a nice little challenge). Any plans for H2 sound extraction? using Gravemind is hell. Does Adjutant not support sound extraction for Halo CE & Halo 2? I have the option to use the Raw Extractor when looking at Halo 3's .map files, but I only have the Meta Viewer available for Halo 2 maps, no Raw Extractor tab shows up. If Adjutant doesn't support extracting sounds for Halo 2, does anyone know where/how else I can find the sound files? Refinery supports extracting all sounds from ALL Halo 1 related titles, and also supports extracting most sounds from Halo 2 Vista(xbox is NOT supported). You'll need to switch it from tag extraction mode to data extraction mode. Not sure I am in the right thread. However, I need to extract a sound file from Halo Reach disk. The sound contains the phrase "Infection" pronounced by the announcer in Italian language. When I open a .map with Adjutant I can only find English dialogs. How can I extract them in Italian? You are right. Actually I could find some dialogs used in invasion matches in Italian language, but about the file I am looking for there are no localized versions via permutations. So I'm curious, since Halo 1 and 2 were available for PC, how do we get the data for other games? I don't suppose its just a case of popping the Xbox disk into our computer, right? Also I could do with a little help. 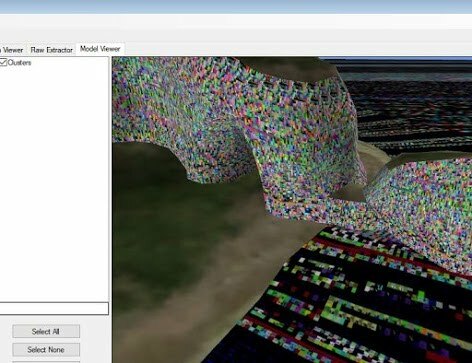 I'm trying to extract from Halo 2, I have the shared and mainmenu map files but no campaign, is that normal and is there somewhere I can get this file? Not for a lack of interest, but a lack of time. Most development work on Adjutant was done when I was in school and university; the daily grind has replaced most of the free time I used to have. Regardless, there's not too much more that could be added. I looked into Halo 5 some time ago when Forge made it to PC. While it's similar to previous games in that it still uses a tag system, Adjutant just isn't flexible enough to support the difference in how the tags are stored without major changes. Halo Online on the other hand I haven't really looked at on account of the majority of its assets can already be obtained from Halo 3 and 4, so there's little to gain from it. As for plans; I have been slowly chipping away at a successor to Adjutant though I can't guarantee it will ever see the light of day due to how slow the progress is. If it's ever finished, or at least has a decent feature set, then I'll certainly release it. At this stage though it's just a foundation and nothing more. 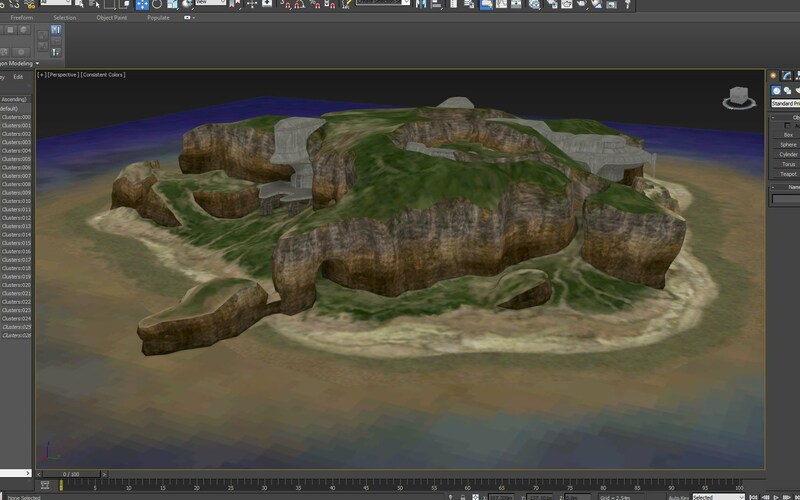 Im trying to get some of my favorite Halo Maps into 3Ds Max. Using adjutant i keep getting messed up textures tho, am i doing something wrong? okay, i managed to fix it by replacing the corrupted Textures by some i fond in a Texture Pack onilne. But now i have another Question. How can i get all the Rocks, Trees and Equipment with their relative Position to the map? Well first you will want to make this images public so we can see them. that's gonna be tough because the rocks and trees are scenery tags, equipment are equipment tags etc. all are separate from the map (bsp). Are the images visible now? There's a tool called aether that can export scenery locations, just have to export the scenery yourself. Time: Tue April 23, 2019 11:18 PM 1,063 ms.